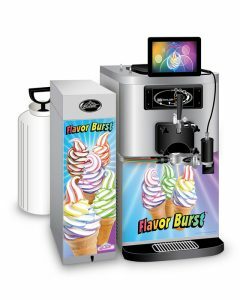 Flavor Burst or Flavor Blend equipment can be easily added to your ice cream freezers or frozen beverage freezers. 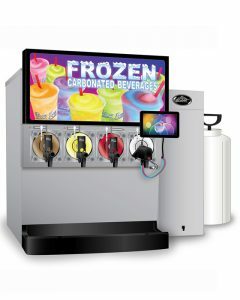 This sophisticated equipment can blend into frozen desserts, shakes, cocktails, slushies, smoothies or FCB (frozen carbonated beverages), stripe soft serve cones or mix custom flavors into frozen beverages. 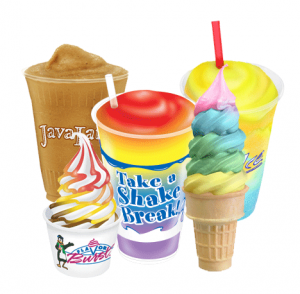 It’s an eye-catching way to entice customers and keep them coming back! 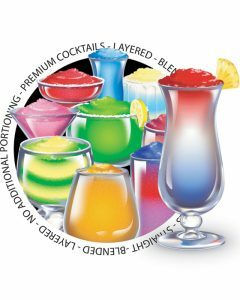 Choose from 40 different premium flavors! 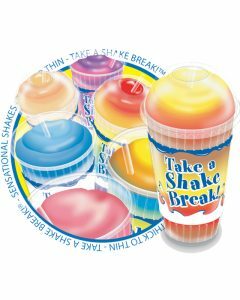 Keep your customers coming back for more of the visually and palate-pleasing flavor combinations with (limited time only) LTO options, seasonal flavors, or target specific markets with “kid-friendly” flavors!